Today is world Vanilla Custard Day. This dessert can be traced back to ancient Rome and custard tarts were popular in Middle Ages Europe. 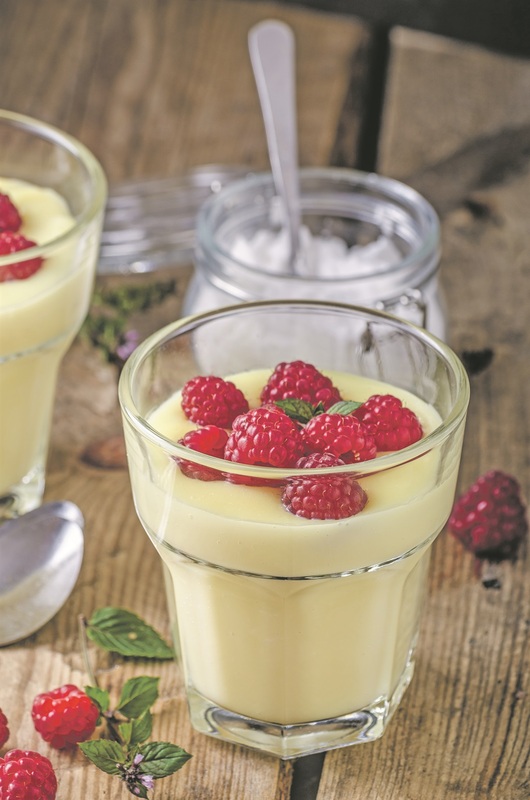 While vanilla custard is a delicious treat, custard was not just made as a dessert you could find fruit custards, fish and meat custards – just about anything you could think of. Custards are truly a diverse type of food well loved throughout the ages. There’s a lot of different ways to enjoy your vanilla custard, and it can be just amazing with toppings. Whether it’s a simple scoop of whipped cream or a sprinkling of raspberries, the subtle flavour of vanilla complements many different foods. What can you come up with for a dessert? A strawberry vanilla custard pie? Ice cream with vanilla custard? Get creative with custard on Vanilla Custard Day. Heat the milk with the vanilla pod until it’s just boiling. Mix the egg yolks, sugar and cornflour together to form a smooth paste. Pour milk on the paste and stir well. Remove, wash and dry the vanilla pod – it can be re-used in another recipe. Strain the mixture back in a clean saucepan and stirring constantly, cook it gently until the custard thickens.